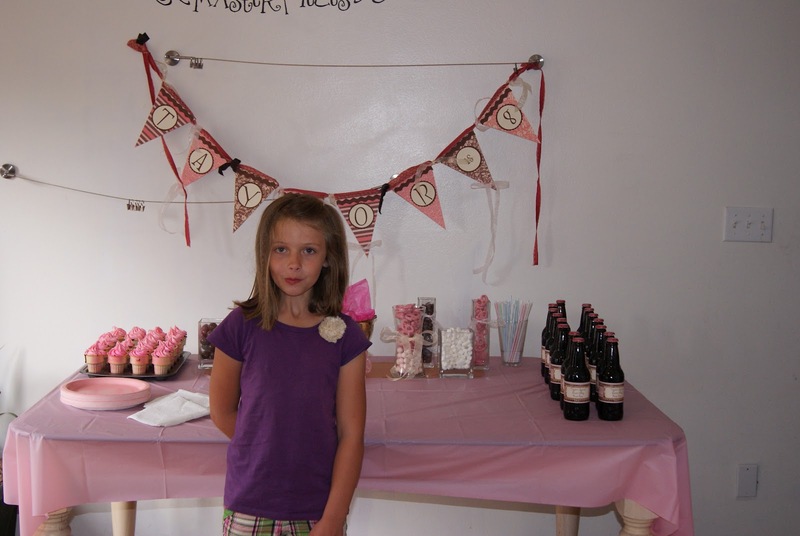 Sweet Shop Birthday Party – Taylor Joelle is 8! Taylor Joelle turned 8 this week! 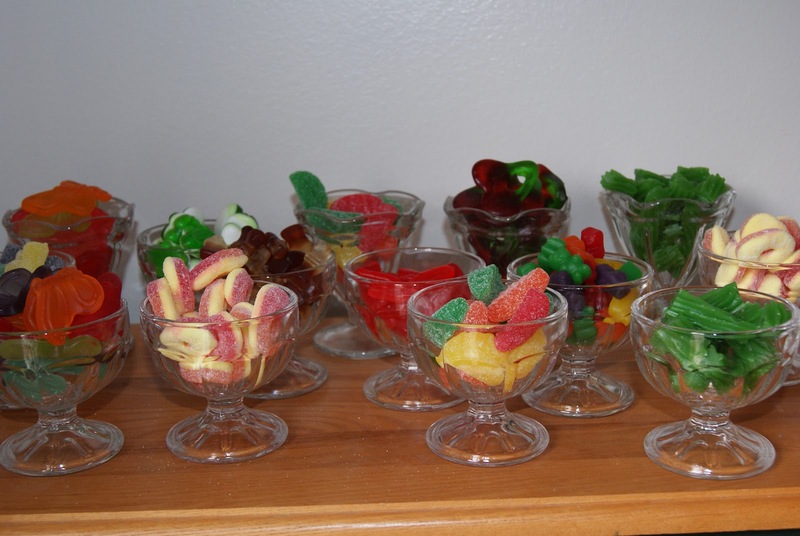 To celebrate, we had a “Sweet Shop” birthday. 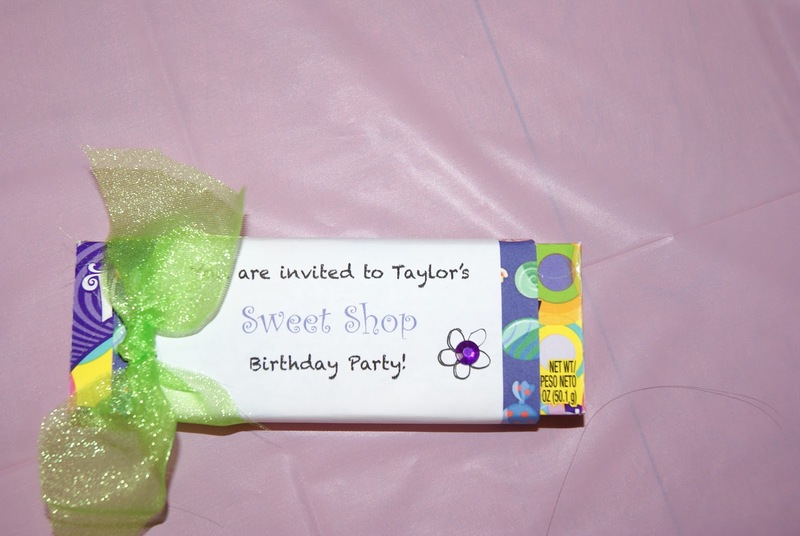 For the invitation we decided it would be more than appropriate to involve candy. So I purchased a bunch of gobstober boxes and we made wrappers for the boxes with the invitation information. 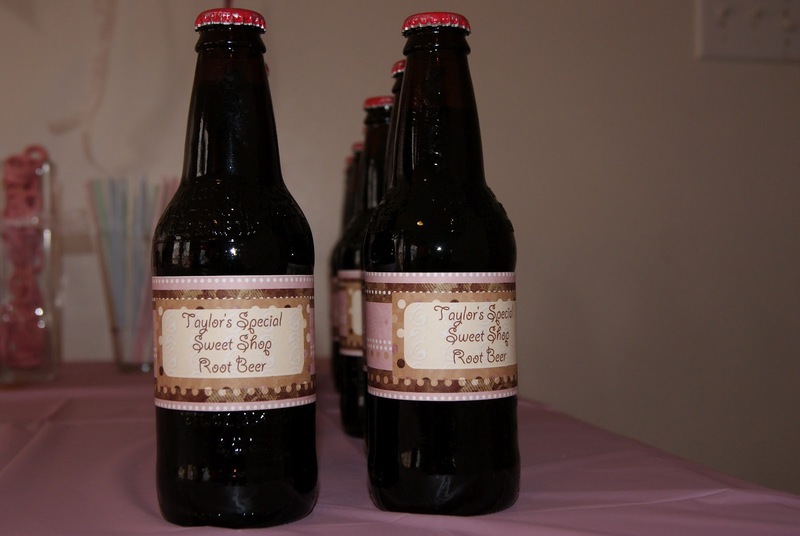 For the decorations, I wish we had of decided on colors before the invites, then our invitation would have matched. We chose “Neapolitan colors”. 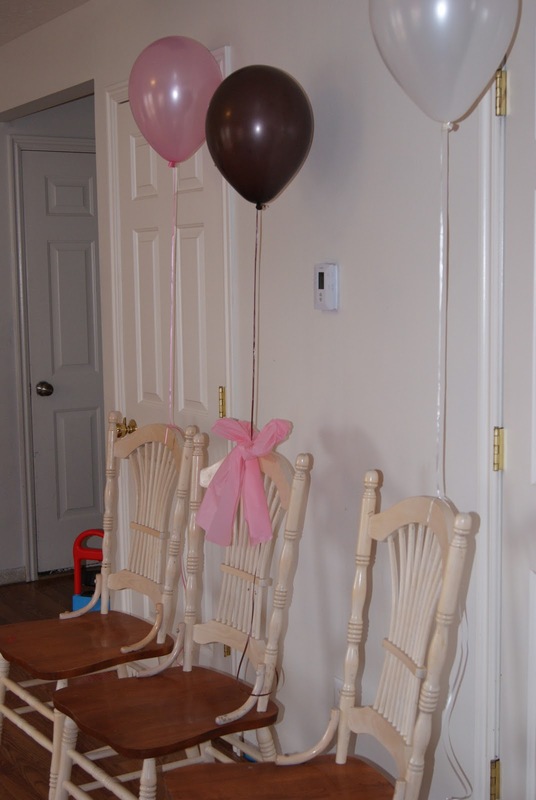 We purchased pink, brown and white helium balloon to tie over each chair. 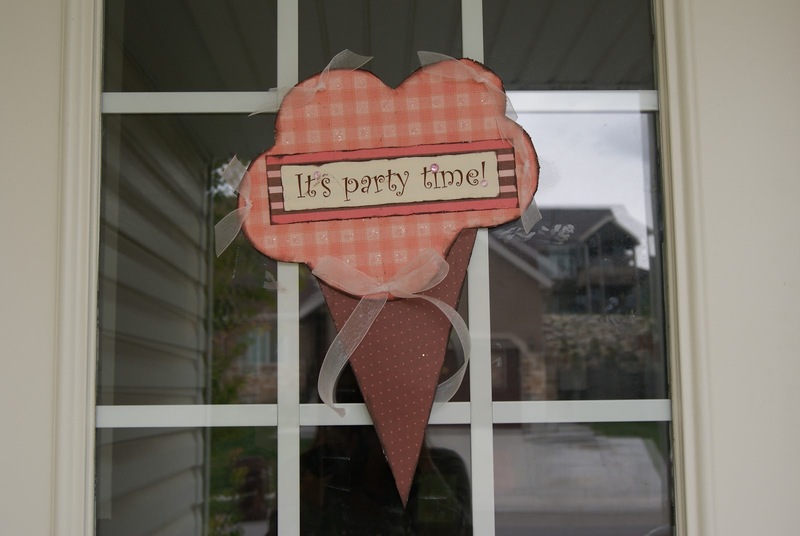 My mom made a cute banner and birthday sign using her cricuit. For the table decorations we filled a bunch of vases (purcahsed at ikea) with different pink, brown and white candies. Instead of a cake, I decided to do ice cream cone cupcakes. These were super simple. I placed each cone in a mini muffin can (so they didn’t slide around) and filled each cone up half way with cake batter. I baked 24 cones for about 15 minutes. 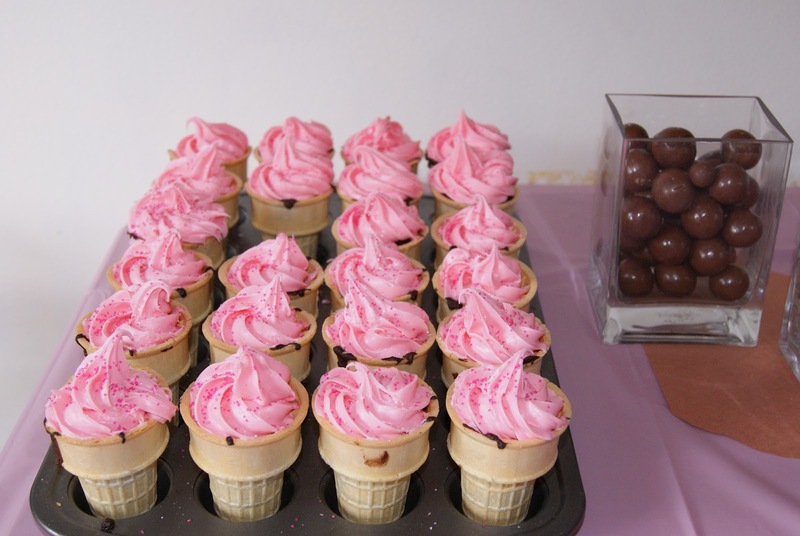 Then you can frost them with a star tip to make them look like soft served ice cream cones. Instead of giving everyone a treat bag, we chose “candy shop”. They were each given a little bag with their name on it, and they could go and fill their bags with whatever candy they want. Taylor decided to play “cashier” and had each girl go through the checkout. 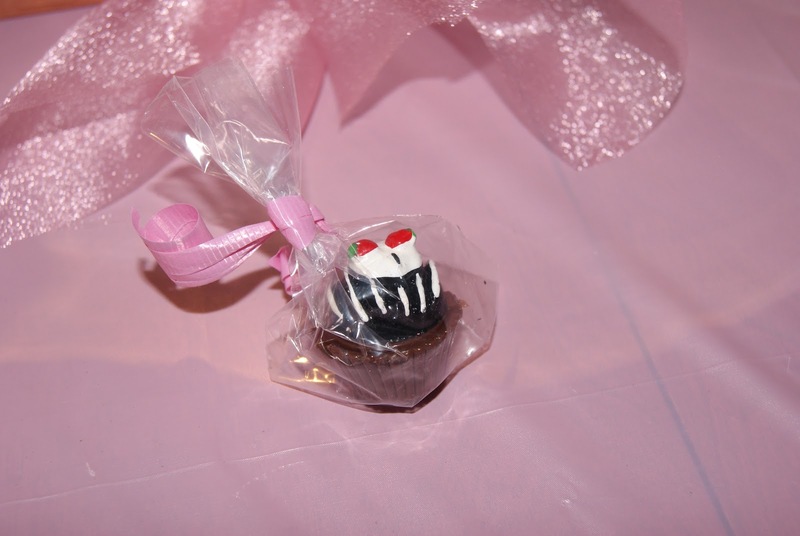 As the girls were leaving, Taylor handed each one of them a little cupcake lipgloss. All in all, it was a very fun and cute party! After the party we turned Taylor's banner into a little book where she wrote down all of her favorite things at age 8.